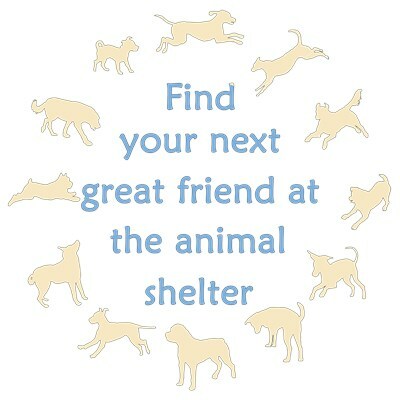 Find your next great friend at the animal shelter. A circle of dogs in reminds us of the fun and variety of dogs waiting for us to adopt them. Everyone's herding dog has potential. My dog could have been Herding Dog Champion if only Cattle weren't so big and scary, Ducks weren't so easy to step on, and Sheep weren't such fun to chase. 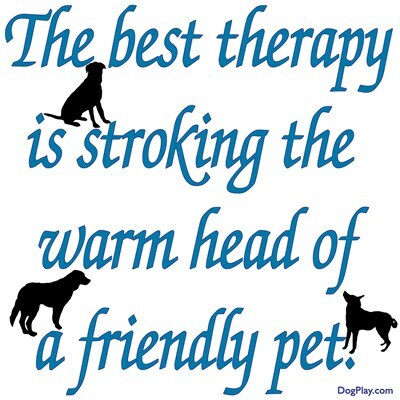 The best therapy is stroking the warm head of a friendly pet. Our companion animals can lift our spirits, listen to us while we are low. This shirt brings smiles and nods of agreement wherever I go. 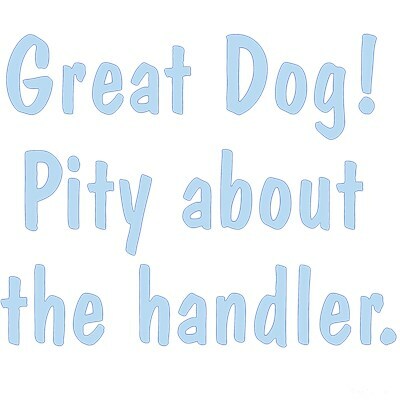 Fun two sided design for dog lovers with a sense of humor. One side says Great Dog! Pity About the Handler, the other side says Just Ask My Dog. The saying is now classic "Punish the deed, not the breed". It means that we don't punish tens of thousands for the bad behavior of a handful. Fight breed specific legislation before it is too late. 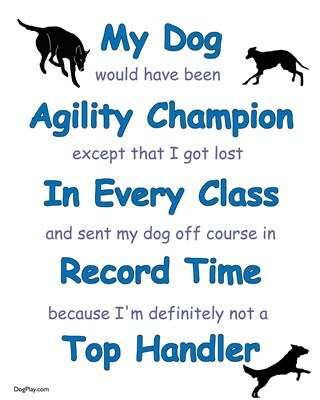 Agility Excuses: Are you havng fun? 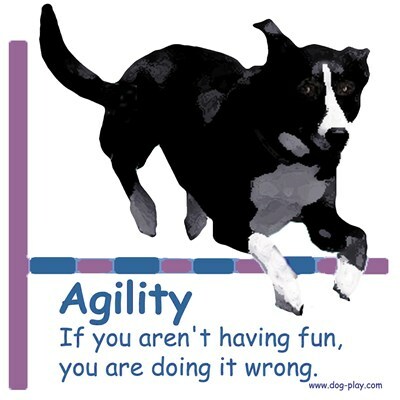 Agility - If you aren't having fun, you are doing it wrong. The essential of Dog Agility is Fun. Carry this reminder to inspire and comfort. Rescue Dogs Rule! The best dogs are rescue dogs. Make a friend, adopt a rescue dog today. Rescued dogs can be wonderful companions. Open your heart to the shelter dog. When blue skies and warm breezes beckon - wouldn't you rather be driving sheep than your car? Enjoy herding with your dog and drive some sheep today. 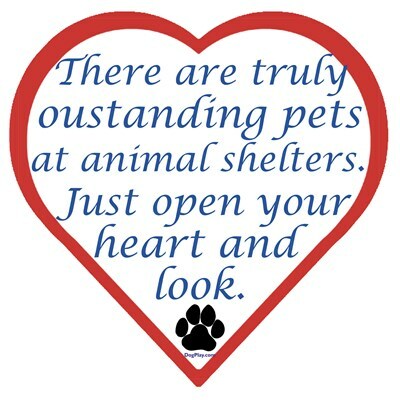 Your local animal shelter has some truly outstanding pets, just open your heart and look. A rescue dog, a shelter cat are often victims of another's bad judgment. In YOUR hands they make great friend. The joy of agility with your dog shows here. Haven't Q'd lately? Oh well. Dogs having fun is our theme.